Need a new boiler in New Malden? Get FREE no-obligation quotes now! Wonderfuel Gas are Gas Safe registered heating engineers who supply and install gas boilers. 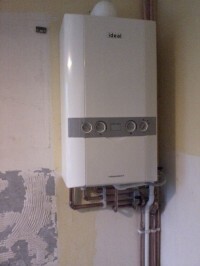 For similar replacement boiler companies in this area please visit the New Malden boiler page. Wonderfuel Gas is a small Gas Safe registered business. We are qualified to install gas boilers,gas cookers,gas water heaters and fires. Qualified in the gas industry for over 25 years now, Phil Josey the proprietor initially trained and worked with British Gas and decided to become self employed as he could see how to do the exact same work but alot cheaper, as he hasnt many overheads to pass onto the customer. We also carry out bathroom installations and kitchen fitting to high standards. Please call to arrange a quote.